The main entrance to the school which has a unique looking timber framed trussed roof system provides a warm and inviting atmosphere with an abundance of natural light throughout. 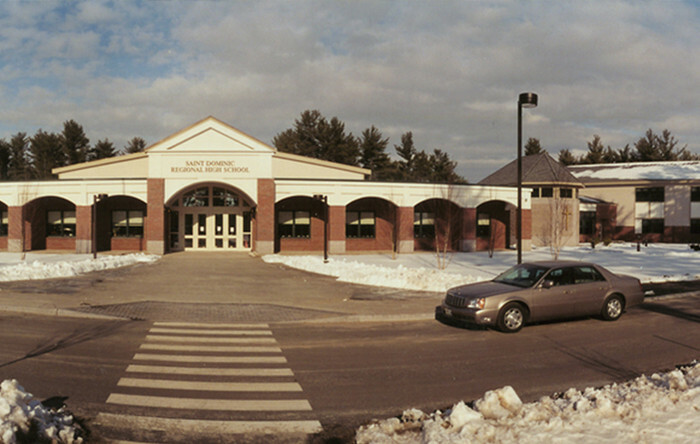 As you go beyond the school’s reception area, the facility contains an administrative wing, chapel, science labs, computer lab, art room, and a two-story classroom wing. 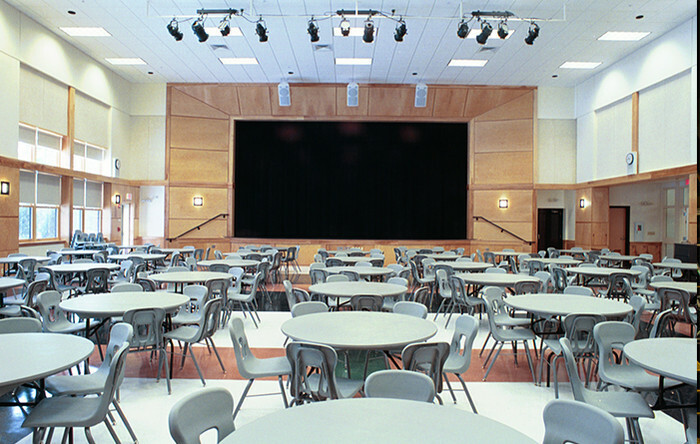 The center core of the school contains a cafeteria which is supported by a commercial kitchen on one side and a large stage for the music and drama activities on the other side. 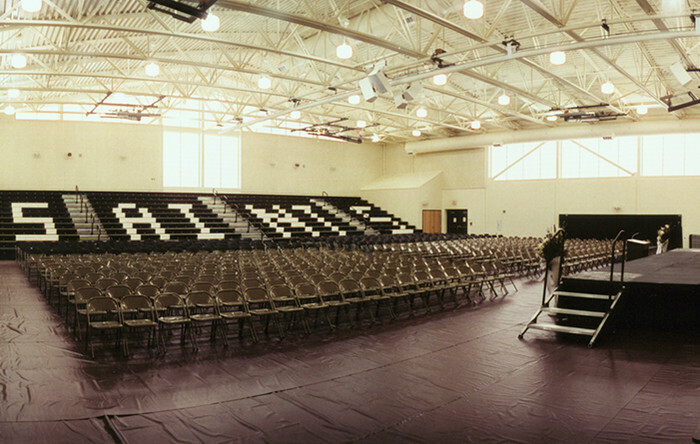 Abutting the cafeteria is a large gymnasium with boys and girls locker rooms, athletics department and basketball court with large retractable bleachers.